Main 1piece with 2 beds 80x180 seats on balcony. 1 alcove with mezzanine sleeping 130x180, 130x180 sofa bed below. Kitchen and bathroom redone completely refurbished compared to the original layout. Very functional set. location center station, near the slopes, shops, restaurants, pharmacy, crates of ski lifts ..... Access to the ski area, ski on foot right out of the residence. There is lots of positives I can say about this villa . First of all the owner was fantastic. I asked her several questions prior to our arrival and she always got back with helpful and well informed answers . 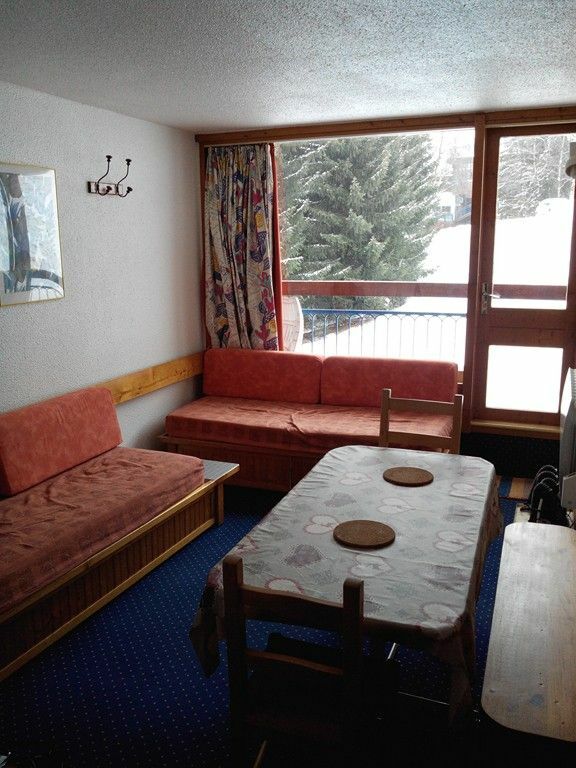 The apartment was very near ski school where we had to take our 5 year old every afternoon which is very useful. We had a confused and panicked 15 min at arrival when we could not quite find the shop we were meant to pick keys from . When I got back home I picked up a message from AMSA ( the folk responsible for safekeeping of keys at a different spot until we arrive !) . Golf: Golf 18 and 9 holes in the station. Ski: Access to the skiing, skis, right out of the residence.